adidas has today revealed new versions of each of its adidas adizero f50, adidas Predator, adidas Nitrocharge and adidas 11Pro silos. The new Black Pack brings the classic black-out series to the #ThereWillBeHaters campaign. The #ThereWillBeHaters campaign has shaken up the world of football by celebrating the "hate" that the best players are subject to from fans. The best players know that their performances stimulate "hate" from fans and opponents, particularly on social media. This then becomes the fuel which drives even greater performances. They thrive off it – and they make no apology in doing so. The adidas adizero f50 is made for the world's most prolific players. The new "Fleur de Lisse" design is inspired by French knights. 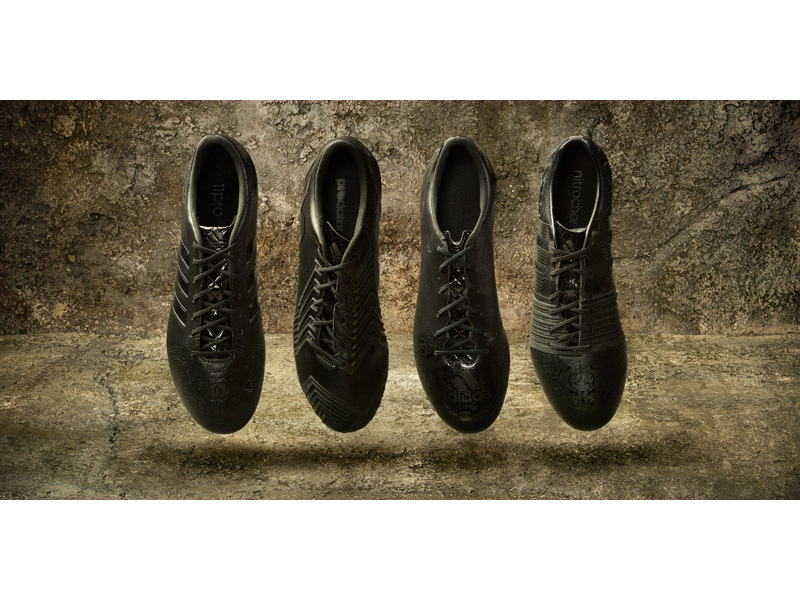 The 3D dribbletex layer on the upper allows for better speed dribbling in wet or dry conditions while the grip texture, stud configuration and second level of traction on the forefoot base provide maximum manoeuvrability. Nitrocharge is the perfect boot for "The Engine", box-to-box, all-action player. The new Black Pack boot incorporates design elements from the renaissance in a striking new look.Energy-sling technology has been used alongside an increased area of protection pads and protection mesh to provide unrivalled stability. The world's most hated players wear the adidas adizero f50, adidas Predator, adidas Nitrocharge and adidas 11Pro. For further information please visit adidas.com/football or go to facebook.com/adidasfootball or follow @adidasfootball #ThereWillBeHaters on twitter to join the conversation.